So you want to access God Mode in Windows 7. It is so simple to enable it in Windows. Just follow these very simple steps. So you want to enable God Mode in Windows 7. If yes, than you're at correct place. Today, in this post I will show you how to access secret God Mode in your Windows 7 Computer. Don't worry if you don't know anything about these systems as it is very easy to activate and deactivate the God Mode. God mode in Windows 7 will show you all the configurations and settings that's present in your operating system. Let's see this cool trick now. 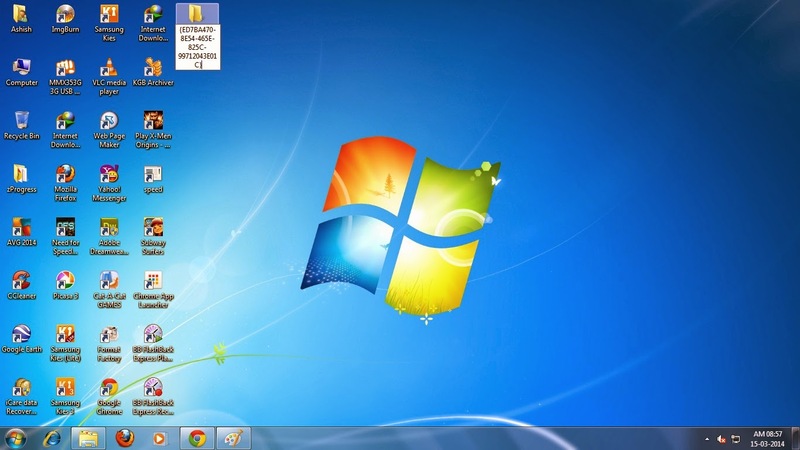 Go to the desktop of your Windows and create a new folder of any name. Let's say you named the folder to God Mode. After creating the folder rename it to the following name. Now, you will notice that the image of the folder have been changed automatically. Also, the numbers gets disappear. See the image below. Yes! You have created a folder that will take you to the secret god mode folder in windows 7. Go to the God Mode folder and check out all the configurations settings that is available in windows 7. Check out the slight look of the folder in the image given below. Did you know ? You can move the folder at any drive or folder. Let's assume that you have created the God Mode access folder in your desktop (which is saved in drive were your windows is installed). Now to move it to other drive or folder than you'll just need to cut or paste the folder to that place (same way as you move normal folders). If you think it's not of any work, than you can delete this God Mode folder. Why this folder is called God Mode ? It is because the folder gives access to all the configurations and settings in one single folder. 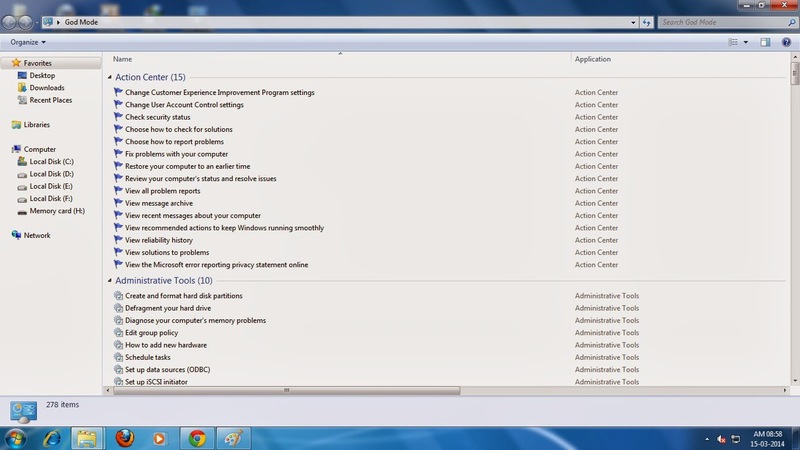 You will able to configure and change your PC settings in a easy way. Warning: Don't try this on 64-bit Windows XP and Windows Vista. It may cause crashing problem on these Operating System. 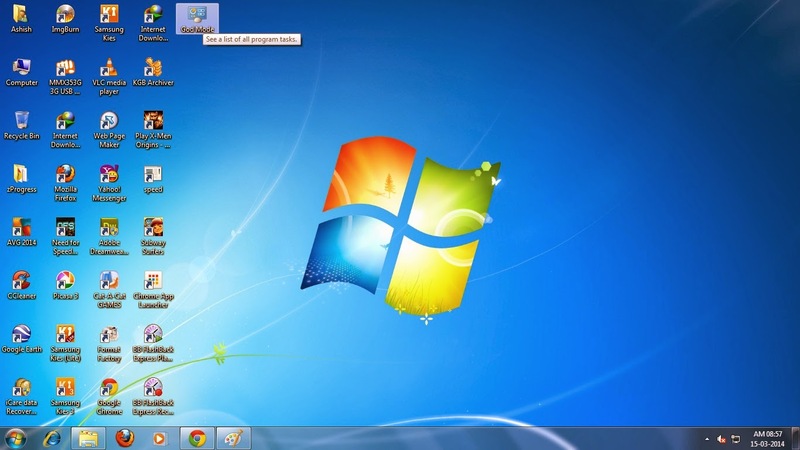 It will work perfectly on other versions of Windows including Windows 7. Still facing difficulties on creating the God Mode folder on your Windows 7 PC than check out the video to know more about the God Mode and how to enable it in your Windows 7 Computer. That's All! I Hope you like this trick on getting access to the God Mode Folder in your Windows PC. For more tricks keep visiting. Hi there to еνery body, it's my fiгst visit οf this website; this web site includes remarkable ɑnd trսly gοod data fօr readers.